Take a look below for a the list ski accommodation websites that Ben’s Bus recommends in the French Alps. There’s something to suit everyone in our listings, including hotels, catered and non-catered chalets, and self catering apartments. We also have a page dedicated to cheap ski holidays where you can find a list of ski holiday package companies that we recommend. A lot of the companies below are small, bespoke accommodation providers offering everything from luxury chalets to cheap and cheerful apartments. For accommodation in Val Thorens try SkiGB.com. They specialise in finding the right accommodation for their visitors. Look up our friends at Chalet Kitchen Les Menuires to find self catered accommodation in Les Menuires. They have a great range of apartments in all the 3 Valley Resorts. Snow Trippin Catered Chalets are an independent, owner run company offering luxury catered chalet ski holidays in St Martin de Belleville. Chalet Broski sleeps 14 guests comfortably with enough room for 2 more if needed. Travel with Ben’s Bus to Val Thorens, Les Menuires and St Martin de Belleville from Geneva, Lyon or Grenoble Airports. Tignes.co.uk is a website dedicated to all things Tignes. They have loads of information about the resort as well as a search and booking function to find self catering apartments, chalets, lessons and lots more. Val.co.uk has loads of information about the Val d’Isere including a search and booking function to find self catering apartments, chalets, lessons and lots more. Tignes Direct offers a wide range of accommodation to rent in Tignes from affordable self-catering appartments through to luxury hotel rooms and suites. In addition they can also book a range of other services to make your stay in resort as comfortable as possible. Tignes Spirit provide independent chalets and apartments for families, couples, groups or solo travellers located in all areas of Tignes. Every budget is catered for! Dragon Lodge are an independent snowboard and ski chalet in the centre of Tignes Le Lac. They are open all year round offering simple accommodation but with great food and service. Travel with Ben’s Bus to Tignes and Val d’Isere from Geneva, Lyon or Grenoble Airports. Premiere Neige are the largest and longest standing Sainte Foy chalet company. With an extensive portfolio of both luxury catered and self-catered accommodation, there’s something for everyone. Travel with Ben’s Bus to Sainte Foy from Geneva, Lyon or Grenoble Airports. 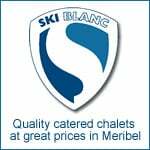 Look up our friends at Chalet Kitchen Meribel to find accommodation options in Meribel. They have a large range of self catered chalets and apartments to suit all group sizes. Chalets Meribel . If you are looking for luxury catered chalets, Meribel has a huge range on offer. Delicious Mountain offers decadent ski breaks for the discerning skier. 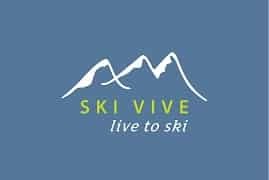 Ski Vive is an independent company delivering a personal service in luxury catered chalets. Groups of 4 – 12 are catered for in 4 beautifully authentive chalets in stunning locations in and around central Meribel. 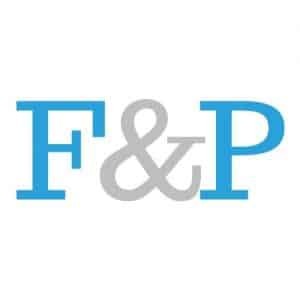 Fish&Pips Meribel offer catered and self-catered skiing holidays in Meribel. A small and friendly ski chalet company delivering award-winning cuisine in comfortable chalets only metres from the piste. Ski Blanc are a small friendly ski company offers exceptional value for money ski holidays in 6 excellent catered chalets. All our Meribel ski chalets are well located, the majority within 100m of the bubble lift, giving easy access to the slopes. 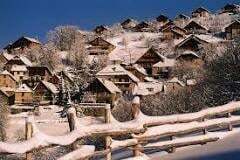 If you haven’t yet booked your acccommodation in resort, try The Chalet Experience, who have catered ski chalets in Meribel & Les Gets. Travel with Ben’s Bus to Meribel, Mottaret or Les Allues from Geneva, Lyon or Grenoble Airports. Ski easy: is a company based in Alpe d’Huez specialising in self catered chalets & apartments in Alpe d’Huez, situated centrally in the resort. All they do is Alpe d’Huez properties, so you are in safe hands! Alpe d’Huez Chalets is a group of luxury chalets in the heart of the Vieil Alpe Resort in Alpe d’Huez. Travel with Ben’s Bus to Alpe d’Huez, Oz en Oisans and Vaujany from Grenoble Airport. Hotel Le Sherpa offers good value for money with a great location next to the Jandri Express, refurbished rooms and a friendly atmosphere. Chalet Ruby – a friendly atmosphere offering good food and a warm welcome. Studio Apartment – Modern ski in/out studio apartment in Les Deux Alpes, right next to the Diable ski lift and Ben’s Bus Stop. Chalet Michelle is a specialist catered ski, cycle and summer activity chalet in the beautiful, peaceful hamlet of Venosc just minutes from Les 2 Alpes and Alpe d’Huez. Sleeps up to 10 in 3 large rooms with private facilities. Owned and run by ski and cycle fanatics. Chalet Morville is an affordable luxury Chalet for Les 2 Alpes offering 5 double en-suite rooms, a large living space with a separate cinema room & an outdoor hot-tub, All inclusives available to include all meals, lift passes, ski or board school, ski or board hire & wine or beer with the evening meal. Will-I-Ski? is a chalet company dedicated to bringing you and your ski buddies a fantastic holiday. They currently run the Chalet Marmotte in La Plagne 1800. Ski Lettings is a website that has lots of independent ski chalets and apartments for rent in Europe and North America. Use their quick search to find the accommodation in the resort you’re heading to. Chalet Gem offers you a fantastic selection of independently owned chalets and managed ski chalets in the Alps and around the world. Snow Traveller brings you accommodation direct from the owners. They have a large selection of apartments and chalets across the Alps. Simply Alpine Chalets and Apartments throughout the Alps.